You are here: Home / Advanced Strategic Thinking / Does Google’s Purchase of Motorola Suggest It Is Changing Its Strategy? Does Google’s Purchase of Motorola Suggest It Is Changing Its Strategy? Tuesday, September 13, 2011 by KLM, Inc. In a recent editorial in the Wall Street Journal one commentator on the world of business puzzled that Google would so violate the patent rights of their competitors with their Android mobile operating system. He mused incredulously, that Google seems to assume that their competitors in the smartphone market don’t have a right to exclude them from using their intellectual property. From the beginning, the corporate strategy at Google has been characterized by a cavalier attitude toward the rule of law. This has been evidenced by each of their primary business initiatives. First, by their AdWords program. This business initiative allowed companies to use the registered trademarks of other companies in their “keyword” searches, while abrogating the question of whether these usages are tantamount to trademark infringement. Then along came the “Library of Alexandria,” with the intent of making all of the information and knowledge in the world’s libraries and archives available online. To date the company has scanned millions upon millions of books, and done so without the agreement or permission of individual copyright holders. 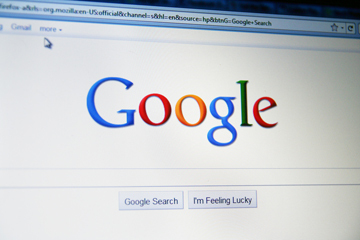 The author’s Gild and others filed copyright infringements charges against Google for missive copyright infringement. The case is still under adjudication. Apparently the Android mobile operating system is yet another case of flaunting the law, patent law this time. Herein, it appears that Android violates smartphone patents held by, most notably their direct competitors, Apple, Microsoft, Oracle. It seems Google came to this next category of intellectual property somewhat unprepared for the reality of patent litigation and unsophisticated in the art of cross-licensing technology between competitors. Technology companies all hold large portfolios of patents, such that when they are sued by a competitor for patent infringement, they threaten to counter-sue because the aggressor is infringing one of their many patents. It is a dance of sorts between technology companies. Of course they cross-license and the patent infringement charges go away. However the waves of patent infringement lawsuits that have been brought against Google have revealed a weakness in their business strategy. All the other smartphone players have large patent portfolios that they can use to cross-license with any player who has a patent they infringe. Google has only a very few patents. Suddenly the mythos of “interconnectivity” as a bartering chip with public policy and the law seems like “the emperor’s new clothes” with only the rhetoric of democratization of connectivity. Google came to the table with their open source android operating system with only a very few patents, maybe hundred. It seesm they miscalculated the legal repercussions of the many Android patent infringements. What has been interesting is that beyond lauding the reduction in cell phone costs their free Android platform would bring to the smartphone markert, Google isn’t making a “greatest good for the greatest number” socio-political argument for their patent infringements. They have acted like they could use any technology they needed to bring their platform to market. It looks like Google’s acquisition of Motorola Mobility is a change in corporate strategy in that instead of changing patent law to allow their infringements because of the “good motives,” the company has acquired 17,000 patents and 7,500 patent applications by buying Motorola. To step forward and barter patent infringements with their competitors is a very different strategy than “don’t be evil,” and “democratization” justifies violating laws. Maybe the company has run afoul of too many laws, intellectual property and otherwise, and realizes they need to play a different game. In the case of Google Books, Google rationalized that the law they were breaking was justified because of a larger social purpose their activities support – the democratization of knowledge. Android was originally justified as the democratization of interconnectivity. Their free Android mobile operating system would reduce the cost of smartphones, making it the case that everyone would have one. Of course it would too put Google at the center of all communications and media, just like Google Books put them at the center of all search technology and information – but that is seeming all too transparent. Copyright © 2011 KLM, Inc. All Rights Reserved.